This topiary mouse is approximately 10" long and is created around strong welded metal frame. It's totally free standing and comes with wood base. 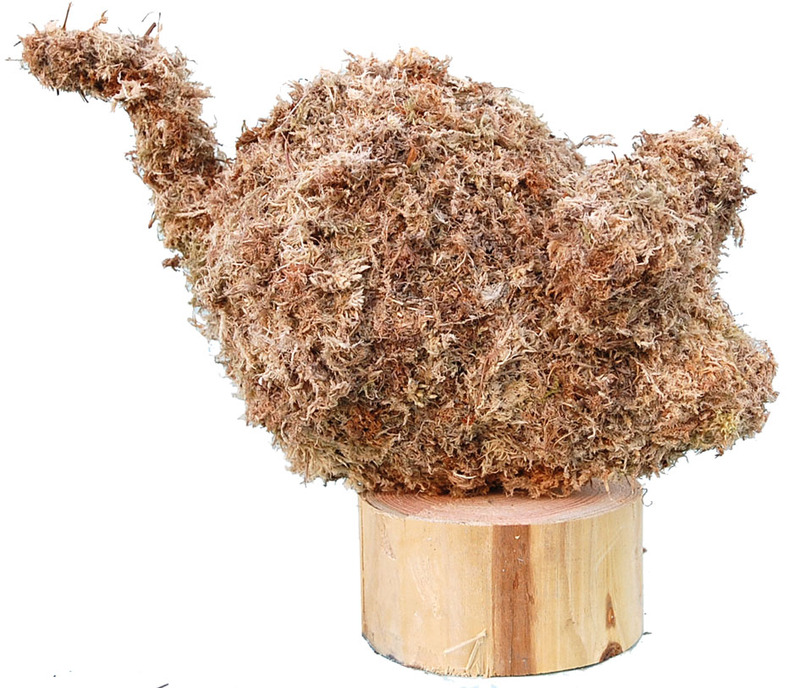 It is filled with long fiber sphagnum moss.